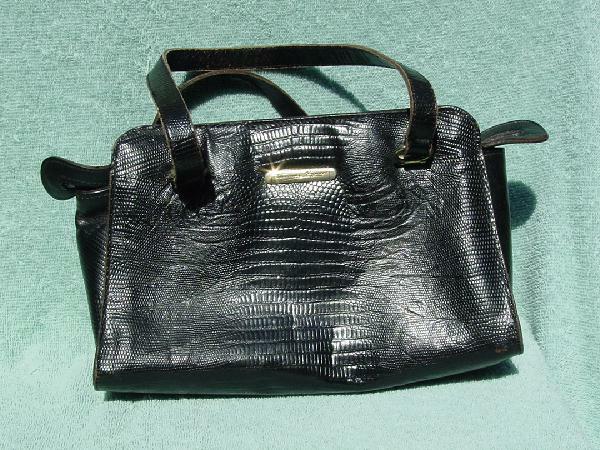 This vintage black lizard-print leather handbag has two 18" straps and a top side-to-side zipper. The interior is lined in a brown fabric with Etienne Aigner written all over in gray. There is an interior zipper compartment, trimmed in leather. It belonged to a model who would tell people who asked that it was real lizard.